On 14 June City will host EGPR (European Global Product Realisation) 2013 participants displaying the aircraft prototype they developed to be flown by persons with accessibility needs. 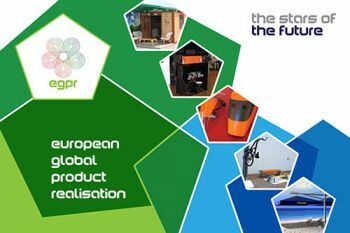 City University London will host the final workshop of this year's European Global Product Realisation (EGPR) course. EGPR, which began in 2002, is a course bringing together 40 undergraduate engineering students from five international universities: City University London; Budapest University of Technology and Economics; University of Ljubljana; University of Zagreb; and Ecole Polytechnique Federale de Lausanne. The course also includes an industrial partner company which this year is Hull-based Condor Projects Ltd. Run over a study semester, the primary goal of the EGPR course is to solve a practical problem assigned by the industrial partner company. This year's project task involves the design and optimisation of the fuselage for an aircraft to be flown by disabled persons. On 14 June, members of the public will have the opportunity to view the final prototype of the aircraft fuselage between 2pm and 5pm in the foyer of the Drysdale Building. Professor Roger Crouch, Conjoint Dean of the School of Engineering & Mathematics and the School of Informatics, will be on hand to welcome visitors and congratulate all course participants. "The project teaches the students invaluable lessons. They learn how to operate in an industrial environment, working on a sales-driven project. It also offers a glimpse of life at a multinational level, where soft skills count as much as hard data. 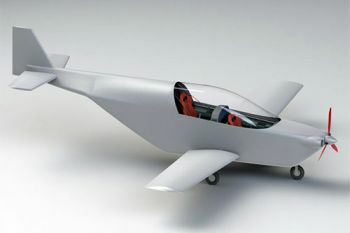 This year, Condor Projects Ltd has been an ideal partner company and they have come up with the very challenging project of designing a fuselage for a two-seater plane to be flown by disabled people." "EGPR has been a revelation to us at Condor Projects Ltd. The students should be proud of the depth of research and design they have demonstrated. In six months they have achieved more than most design organisations in the aeronautical industry achieve in three years. They have not only come up with a realistic design which we intend to develop into a working prototype but have attained an invaluable platform from which to expand the goals of making flying available to everyone, particularly those suffering a disability." "Taking part in EGPR this year has been a highlight of my time here at City. EGPR is unlike any other university course I've taken; not many students leaving university are able to say that they've designed a new product which may soon be available to the public."